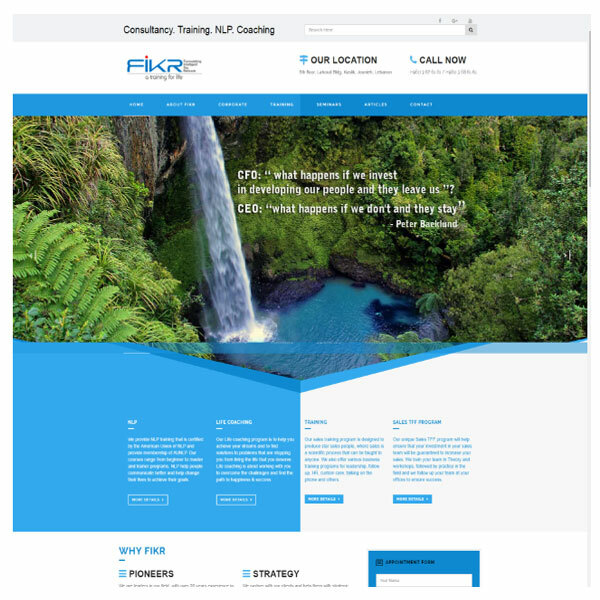 Fikr training website, NLP training in Lebanon & Middle East. Everyone is selling something most of the time. When a baby looks cute and smiles at you, they are selling themselves, when a child gives you a cute look that you cant resist, they are selling themselves or want something from you. In business we need star sales for our businesses to survive. Entrepreneurs must be good sales persons if they are to see their idea come to life, otherwise they must partner with a great salesperson, or hire star sales and create a sales team. Is Sales training a must? Absolutely! It is untrue that people either have it or don’t, and that some people are born with sales skills while others can’t sell even if their life depended on it. That is a myth. Sales, just like most skills in life can be taught and mastered. Sales training is an absolute must for any organisation looking to survive and grow, specially in the more competitive world of today. Sales training is not an option, it should be part of any serious business strategy. What added value does sales training provide? Several things can give an added value with the right sales training, such as motivation, new negotiation skills, new sales strategies, new insights into sales channels and many more personal traits and habits that can be acquired from the right sales training courses and workshops. What is also very important is the retraining and continual support given to the sales team. Learning is a continuous process that enables the sales people to stay empowered and ahead of the competition. Fikr provides sales training courses to empower people and improve sales of the company.